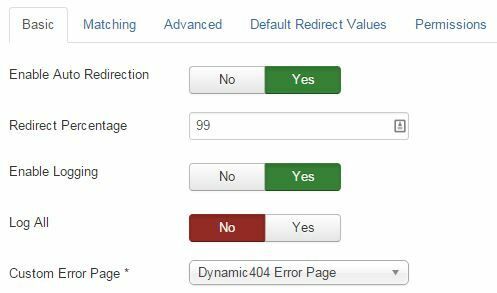 Joomla has the Redirect Manager built in for handling your 404-errors or even custom redirects. This is a really nice and simple tool, but there can be situations where you need something more fancy. As nice as it is, it can take a lot of work to set up the individual redirects for each URL after say, a situation where you updated your site with a new link-structure, or maybe you switched on URL-rewriting, changing all your URL's. This is where Dynamic 404 from Yireo extensions is a really cool tool. It can also take care of custom URL's (for affiliate and marketing short-URL's), and of course it will take care of user typo's. 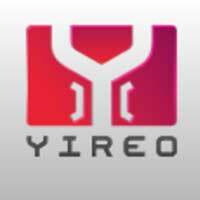 This is a paid tool, so you first need a subscription, and then you can download the package from the Yireo site. The extension has both a plugin and a component, and easiest is to download the combined package. Install it as any other Joomla extension. By the way, you can enter your subscription key in the component options for automic extension updating. Most of these defaults should work fine for you. Especially note the Enable Auto Redirection button. If you leave it to Yes, redirects will be done automatically, but if you set it to No, users will still see a 404-page. However, they will be served a number of matches that mostly resemble the URL they requested. This can still be useful, but if you trust the plugin enough, you can let it completely redirect all requests. It will also include 1 301-header, so search engines will update their index quickly. So, for SEO purposes, the automatic option is usually fine. However, if you have manually taken care of the expected redirects and you just want Yireo's plugin to take care of the rest, no automatic redirection is fine too. It all depends on your situation. The other options are for advanced usage, allowing you to set your desired 404-page, matching percentages and type, a custom 404-page, etcetera. Having set all of this, you actually don't have to do anything anymore, all the work will be done by the plugin ;) Of course, it is always good to test. Note that if there is no information in a requested URL for a good match (something like /hwqrewr.html or so), then even the plugin can't fix if for you. A nice option in Dynamic 404 is the option for manual redirects. This is very handy for custom URL's for affiliate or marketing purposes, or the URL's that the plugin can't cope with, like the funny URL I gave as an example.